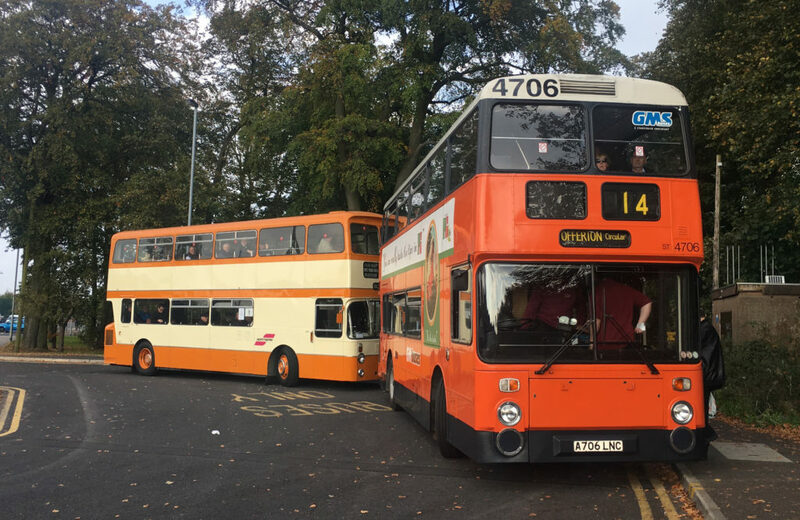 Manchester’s annual Big Orange event took place this weekend, celebrating all things SELNEC and GM. 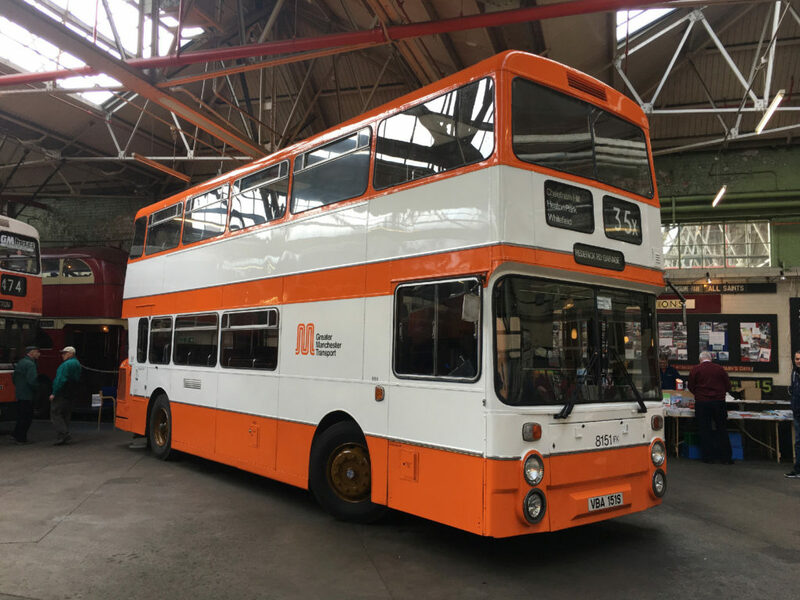 We took a shameless nostalgia trip to the event, which took place at the Manchester Museum of Transport in Cheetham Hill. The annual gathering brings together all things SELNEC and GM. 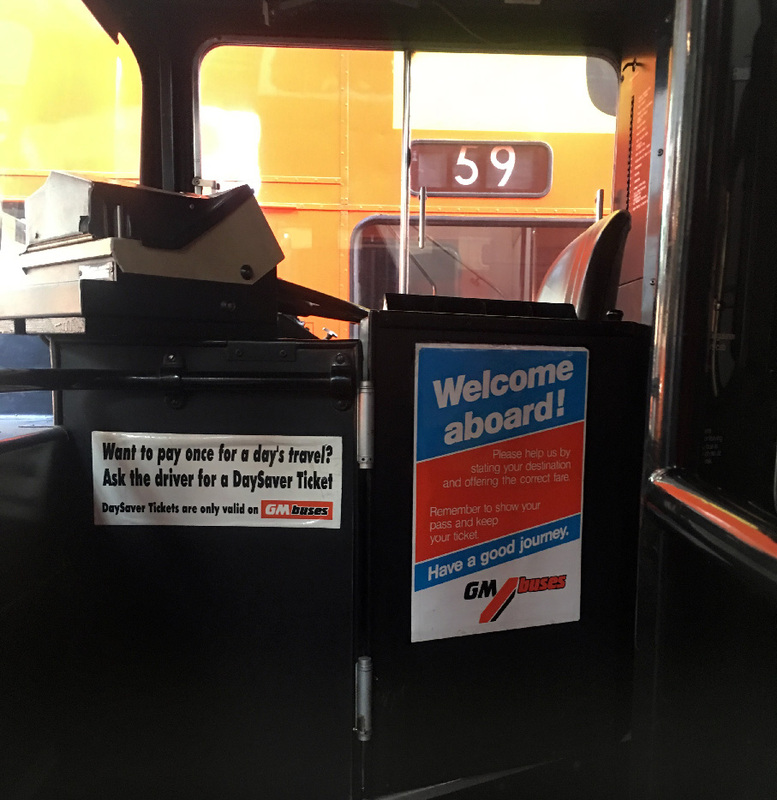 It celebrates the vehicles, the design and the heritage of what was once one of the largest fleets of buses to be found anywhere in the country. GM ‘Standards’ of all shapes and sizes were present at the event, as you’d expect! With such a huge number of routes, depots and vehicles to maintain, GMPTE and its predecessors worked closely with Leyland and Northern Counties to create the ‘Standard’. 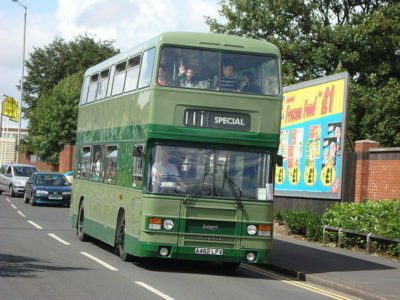 A number of Atlanteans were out in service and on display, with both metal and later alloy-bodied examples represented. 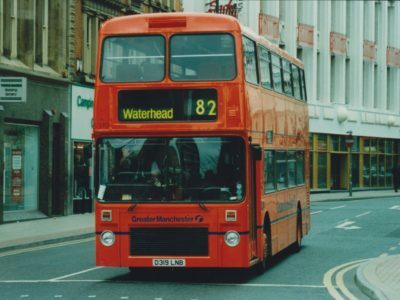 The Standard body design originated in the 1970s with SELNEC and Northern Counties, and was to become the foundation for thousands of buses purchased by SELNEC and the Greater Manchester PTE. 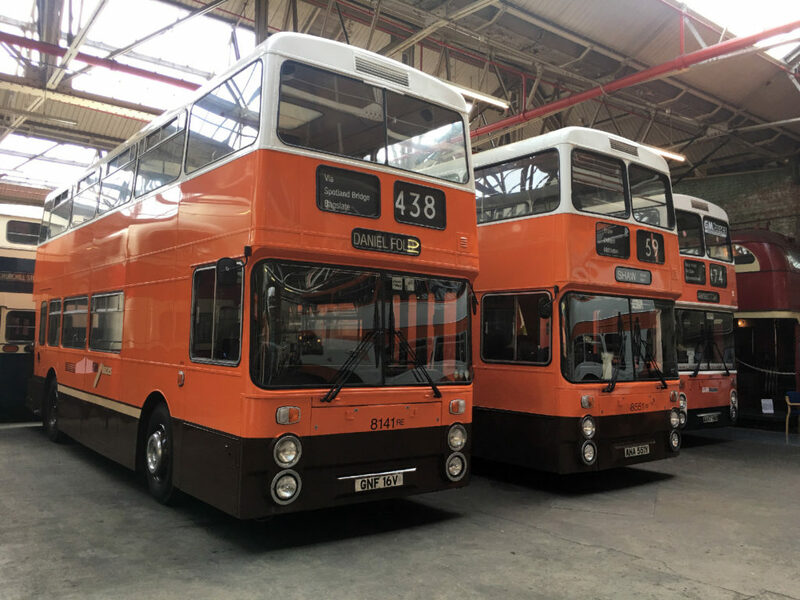 The bodywork was carried on a variety of chassis, including Atlanteans (by far the most numerous type, numbering in the hundreds if not thousands), Fleetlines, Olympians, Metrobuses, Dennis Dominators and Scanias. 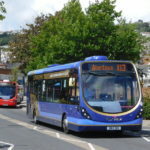 A number of single deck vehicles made appearances. They included the Museum’s own fantastic dual-door SELNEC National, EX30, and this pristine ECW-bodied Leyland Leopard. 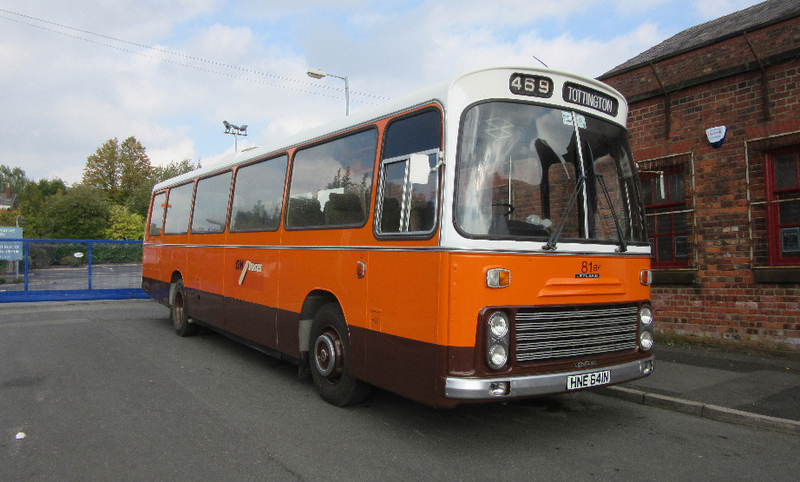 The Leylands just keep on coming! 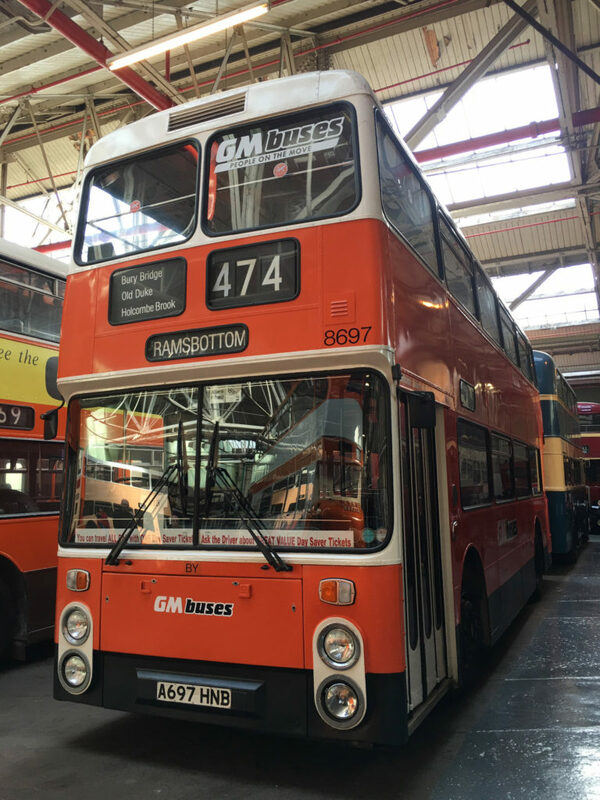 Where there’s historic buses on display, there’s usually a chance to pick up some great examples of classic transport design. The Big Orange was no different, and we managed to pick up some excellent examples of GM-era marketing. 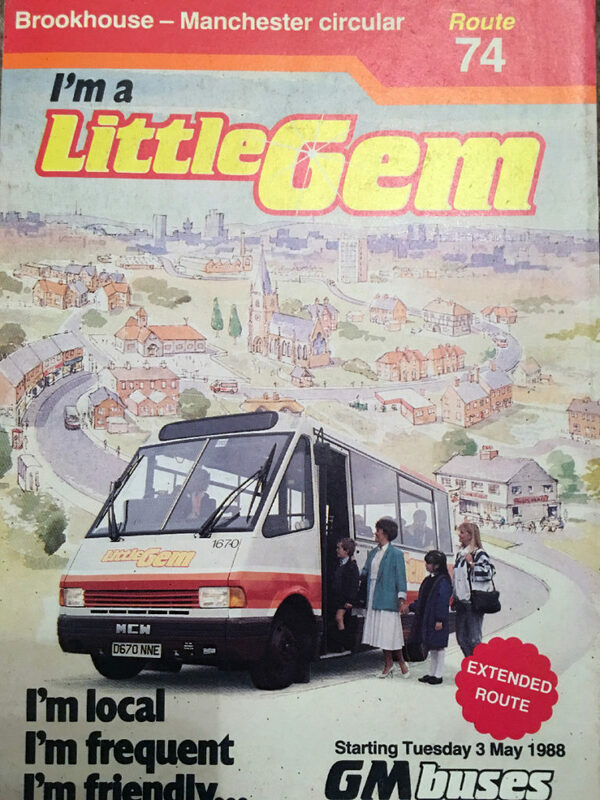 The Little Gem timetable, pictured below, is particularly excellent. The copy is a work of genius – short, simple, friendly and full of character – exactly what Little Gem was supposed to be. It was a masterclass in copywriting in its day – in fact, we could all learn a lot from Little Gem – even today. 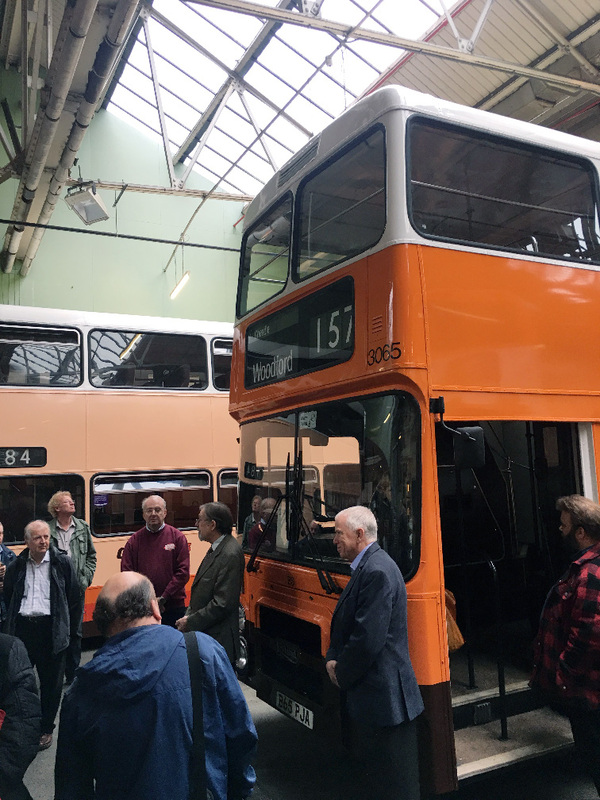 The star of the show was undoubtedly the Museum’s very own splendid GM Standard Olympian 3065 (B65 PJA), freshly repainted into Greater Manchester brown, white and orange as a parting gift from outgoing Stagecoach Manchester Managing Director, Chris Bowles. 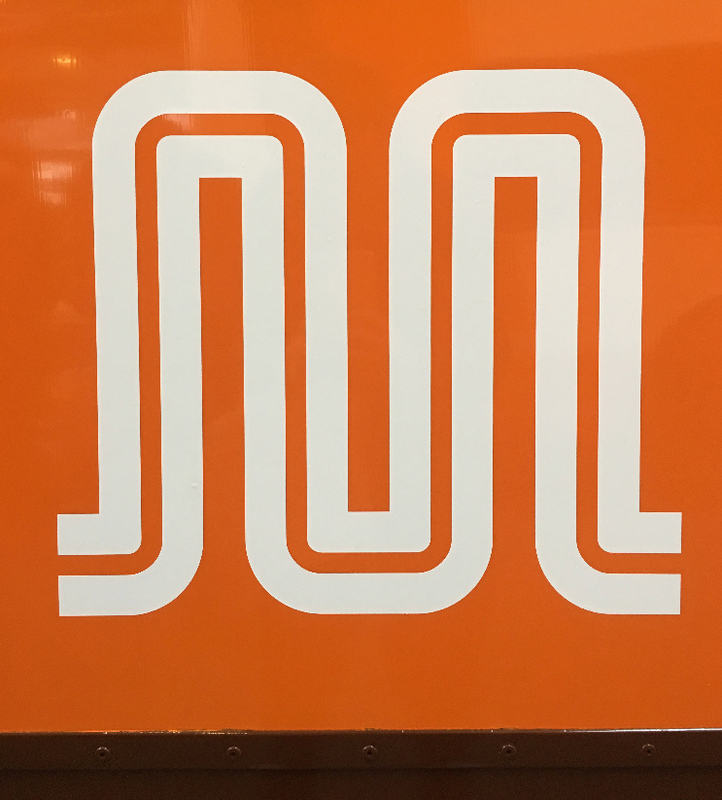 The vehicle carries the GMT ‘M-blem’, the instantly recognisable symbol designed for the PTE in 1974 to reflect the organisations’ newly-formed metropolitan area of responsibility. Chris presented the vehicle to the museum with a short speech. 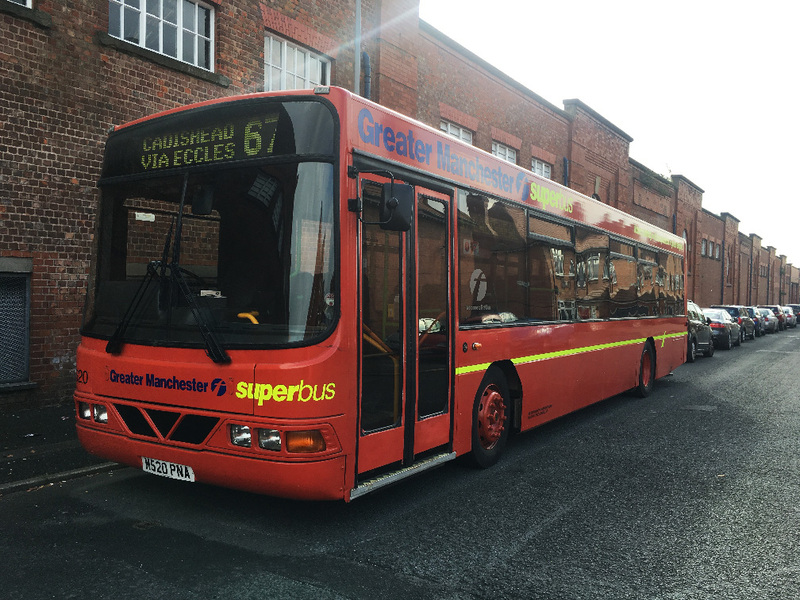 Visitors had the opportunity to ride the vehicle later in the day, when it worked the free shuttles to and from Manchester Victoria. 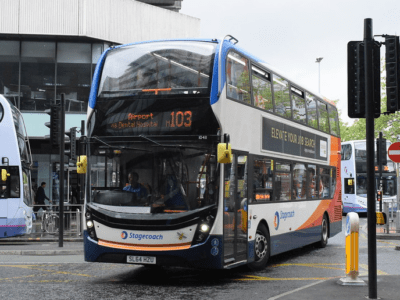 Did you pop along to the Big Orange? 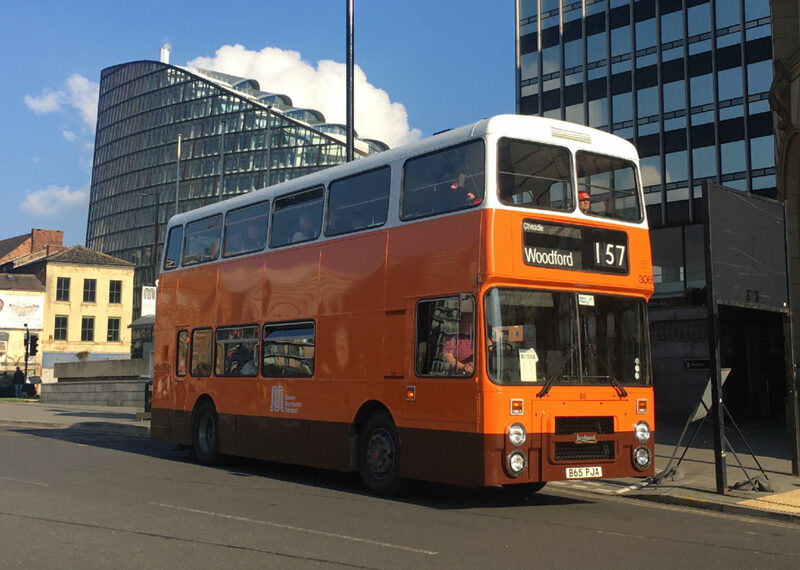 What are your memories of Manchester’s orange buses? Write in the comments below, or let us know on Twitter @transportdsn. 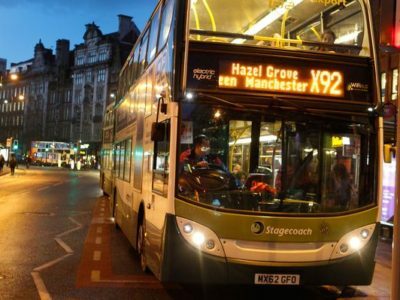 yes I have to agree there is something very nostalgic about returning to Manchester’s past. 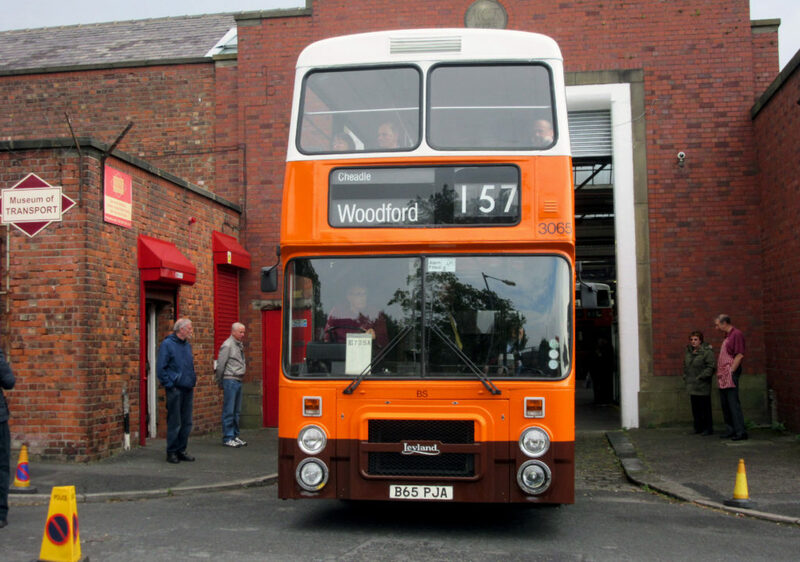 I do enjoy visiting the Manchester Museum of Transport when an event is on, this one was as good as pervious one’s. 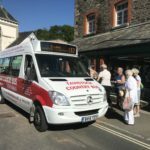 It was a pity that the other buses inside were not in service. 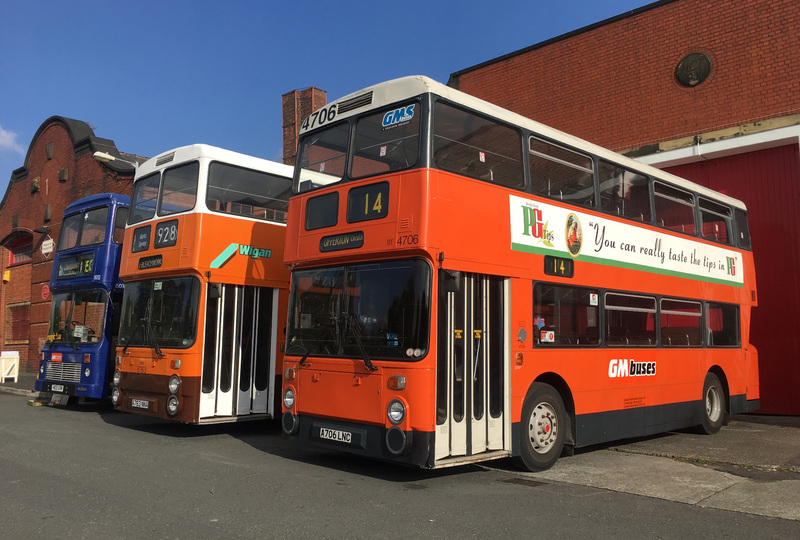 I liked the sunglow orange and white of SELNEC and the equally inspired brown, orange and white livery. I managed to arrive on the SELNEC liveried 7001 and enjoyed the museum, purchasing some items, a few books and DVDs. 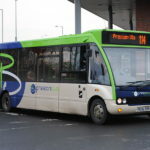 I managed a ride on the repainted 3065, a fine vehicle, after it returned from Victoria. It was pleasant to meet you again, Matt. Enjoying the new look to your blog website very smart indeed. Glad you enjoyed Scott – i’m slightly biased, as I grew up in Manchester whilst GM was in full swing! As always, it was an excellent event, and managed to pick up some great examples of GM-era marketing. Good to see you too Scott – catch up soon!